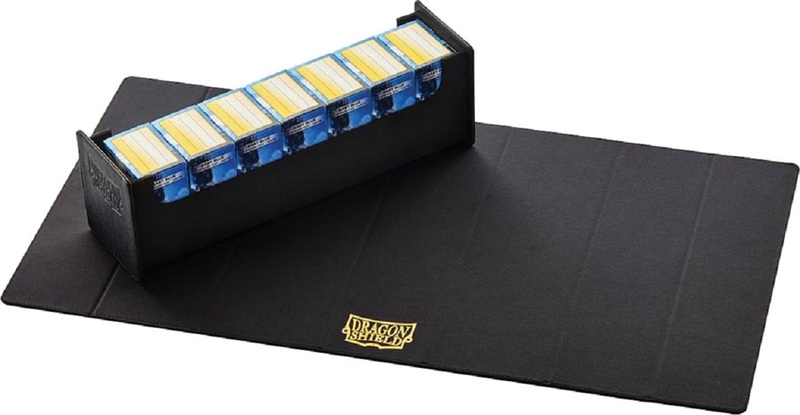 The Magic Carpet is perfect for storing and transporting your prized cards in an easy and stylish way. The exterior can be separated from the storage tray and used as a playmat so that you always have one handy when transporting your decks. The Magic Carpet comfortably holds up to 7 Dragon Shield 100 sleeve boxes, or six Dragon Shield Deck Shells, or 500 double sleeved cards or more than 1001 unsleeved cards! So whether you have a cube, a set of decks, or a special part of your collection you want organized, the Magic Carpet is the perfect storage solution.